Smile! 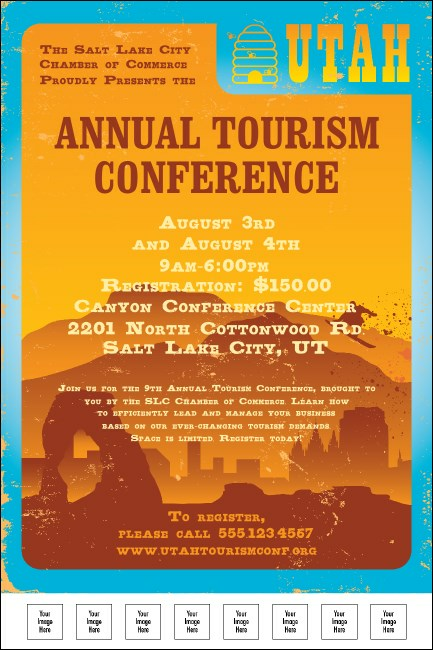 When you add your organization's logo, sponsor's design, speaker photos, or any other image from your hard drive to this big Utah Poster, you're branding your event with faces your guests can trust! Uploading an image from your computer to our ticket template is as easy as attaching one to an email. Show your best side with custom image uploads from TicketPrinting.com.